In 1835 an unidentified correspondent wrote to the editor of The Asiatic Journal and Monthly Register for British and Foreign India, China, and Australasia. His letter was published in Vol XVII New Series May–August 1835 (W H Allen & Co, London). His subject, perhaps rather surprisingly given the title of the journal, was Round Towers of Ireland. 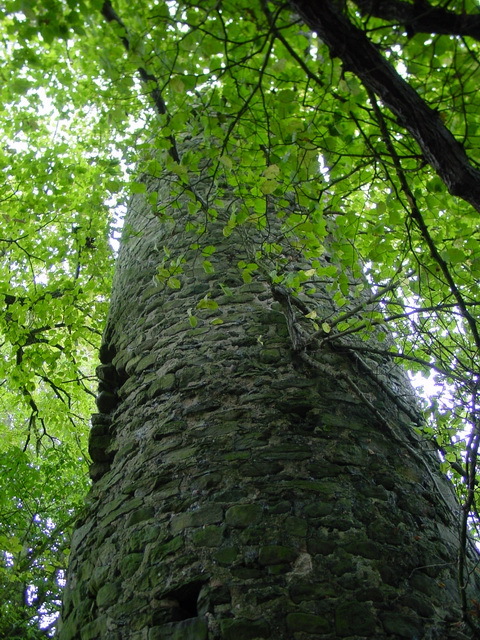 He had recently read Henry D Inglis‘s Journey through Ireland (Whittaker & Co, London 1835) and he was able, therefore, to offer support to some recent attempts at explaining ‘the origin of the mysterious round towers of Ireland’. 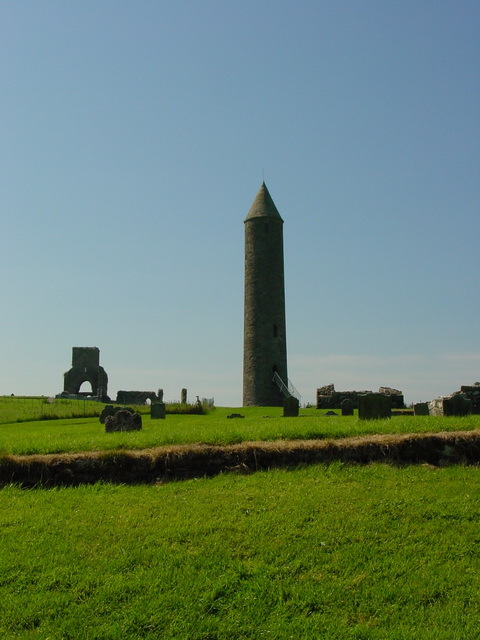 He believed that the towers were Hindu phallic symbols and he used examples from Irish waterways to reinforce the point. […] I have to remark, that if the supposition be admissible, that that [sic] these towers are Lingaic — that is, of Phallic origin, — and that some race of men, of similar religion and language with the Brahmans or Budhists of India, have erected them, such admission will receive some confirmation from the names and devices associated with the tower of Devenish. It is to Siva, the deity of change and reproduction, that the Lingaic emblem is more especially allusive; and under his name of Mahadeva. Kala is another of his names, connecting him with with Time, or Chronos. His consort Kali, otherwise named Devi and Durga, shares all his honours and attributes. Among the latter, human heads are the most common. And the key-stone of each window in the Devenish tower was ornamented with a human head. So the name Devenish might be derived from Devenaush or Nahusha, names connected with Siva, while the -killen element of Enniskillen might be derived from Kala. On Lough Neagh, Ram’s Island had a round tower, and the ram was associated with Siva, but he didn’t want to push things too far by suggesting that Ram’s Island might be the island of Rama, as that deity was not associated with Phallisms. 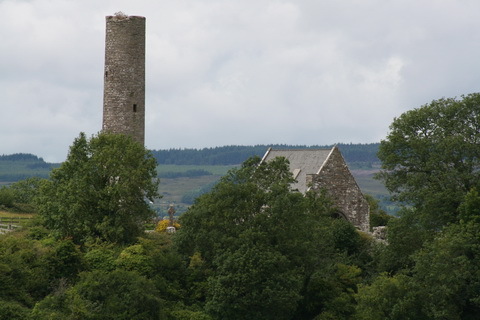 Finally, there was the round tower on Holy Island on Lough Derg: Derg might be linked to Derga or Durga, and the nearby town of Killaloe might be linked to Kala, as might the names of Counties Galway and Clare. Can these apparent coincidences be altogether accidental? I think not. […] Are the names of Hibernia and the Brahmanic Yuvernia, as well as their legends, cognate or not?